With three beautiful but broke women desperate to snag ultra rich husbands, How To Marry A Millionaire finds all the right kinds of comedic trouble. Betty Grable, Marilyn Monroe and Lauren Bacall are the devious but frantic instigators of the husband hunting game, and ultimately face the farcical consequences when the best laid plans go awry. 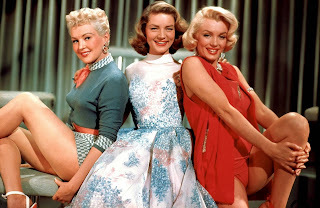 Schatze (Bacall) is a fashion model, Pola (Monroe) is a stunning blonde but blind as a bat without her glasses, and Loco (Grable) is true to her name and just a little nutty. Together they are close to penniless, but nevertheless they rent a swanky furnished New York apartment, pretending to be wealthy to attract rich men. The apartment actually belongs to Freddie (David Wayne), who is apparently on the run to avoid tax evasion charges. The three women survive by gradually selling off the apartment furniture, but the days pass without any of them finding suitably rich husbands. Schatze repeatedly fends off the advances of the persistent Tom Brookman (Cameron Mitchell) because she believes him to be a gas jockey. But the ladies finally strike it lucky when they are invited to a cocktail party for out-of-town oil tycoons. Schatze is soon enjoying the company of the gentlemanly but much older J.D. Hanley (William Powell), Loco is accompanying a two-timing businessman to a lodge in Maine where she contracts the measles but also meets the hunky Eben (Rory Calhoun), and Pola falls for a one-eyed man who may be only pretending to be extremely wealthy. Although everything looks promising, nothing will proceed as anticipated on the way to finding the right match. A mix of comedy, romance, and some farce, How To Marry A Millionaire is bright, cheerful, colourful and breezy. The trio of Bacall, Monroe, and Grable keep the screen filled with bubbling estrogen, and the three actresses quickly establish memorable and distinct characters. Bacall's Schatze holds the group together and appears the most mature, but she is catastrophically error-prone in her assessment of men's qualities. 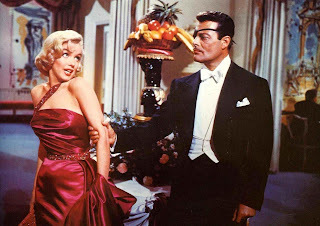 Monroe goes to town as Pola in a role full of understated comedy. Pola refuses to wear her glasses, believing that they make her look ugly, and as a result Monroe gets to walk slowly into walls and carries on conversations with people she does not recognize. Monroe demonstrates excellent timing and self-control, Pola fighting against herself to place beauty ahead of elegance and basic functionality. Loco is perhaps none too bight but has an uncanny talent to pick up men while shopping, getting them to pay for whatever she was buying, and then bringing them home for a look-over by Schatze and Pola. Grable mixes adorable naivete with a lust for riches, a combination that misfires with a spectacular bang when she meets Eben and his trees in the wilderness of a Maine park. 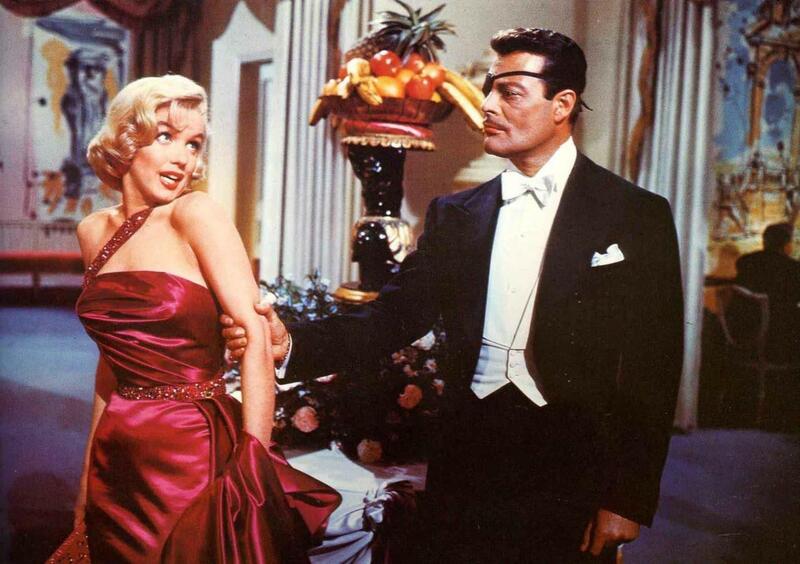 How To Marry A Millionaire was the first film shot in CinemaScope. Director Jean Negulesco demonstrates the breadth of all that the technology has to offer, the movie opening with wide-screen shots of the 20th Century Fox Orchestra performing Street Scene, followed by a sparkling montage of New York landmarks. Negulesco then keeps his ladies bathed in glamour regardless of their declining financial fortunes. The Nunnally Johnson script even finds its way to a private fashion show scene with Schatze, Pola and Loco among a bevy of beauties modelling for Tom Brookman as he insists on a private showing of the latest fashions simply to get close to Schatze. How To Marry A Millionaire is of course useless as a how-to guide, but rather than helping to find millionaire husbands, the film offers priceless fun.